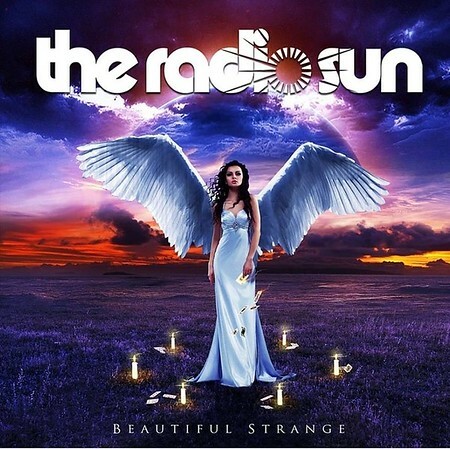 Australian band The Radio Sun released their latest album, “Beautiful Strange”, through Pride & Joy Music on 24th August. This is their fifth album is as many years and the band continue to deliver top quality melodic rock. The Radio Sun are no strangers when it comes to playing in the UK and have a good fan-base here. The latest album certainly won’t disappoint any of those fans. I included the track “Hold On Tight” on the Friday NI Rocks Show on 3rd August. The Radio Sun formed in Melbourne in 2012 and released their debut album “Wrong Things Right” in 2014. That was followed by “Heaven Or Heartbreak” (2015), “Outside Looking In” (2016) and “Unstoppable” (2017). Throughout that period the song-writing partnership of vocalist Jason Old and guitarist Stevie Janevski has remained as a constant driving force. There was a line-up change after the third album which saw the arrival of drummer Gilbert Annese and bass player Anthony Wong. Those four recorded “Unstoppable” as well as “Beautiful Strange”. The band have been a regular attraction at the Hard Rock Hell AOR Festival over the past few years and have toured widely across the UK, Europe, Japan and the USA. This year they played at the Sweden Rock Festival and they return to the UK in March 2019. Guitarist Steve Janevski also plays for the band Black Majesty (who release a new album in September and have some European gigs the same month) and on the tracks released recently by his daughter Cassidy Paris. Jason Old also fronts the band Star Chase that released their second album “Afterlife” earlier this year. That band also features Annese and Wong.